This Recipe is the combination of Peas and Potato. Both are rich in fiber, vitamins and good for health.This dish is very easy to make with simple ingredients which gives rich taste. This can be served with sambhar rice or any variety rice. Boil the potato in a microwave for 4 mins or pressure cook it. Cut potato into cubes and keep it aside. Heat a pan with oil, add sombhu or fennel ,curry leaves let it crackles. Add asafoetida to it. Take the pan away from the stove, add sambhar powder and fry for a min. Keep back the pan in a stove, add ginger garlic paste and green chilly, fry for a mins until raw smell vanishes. 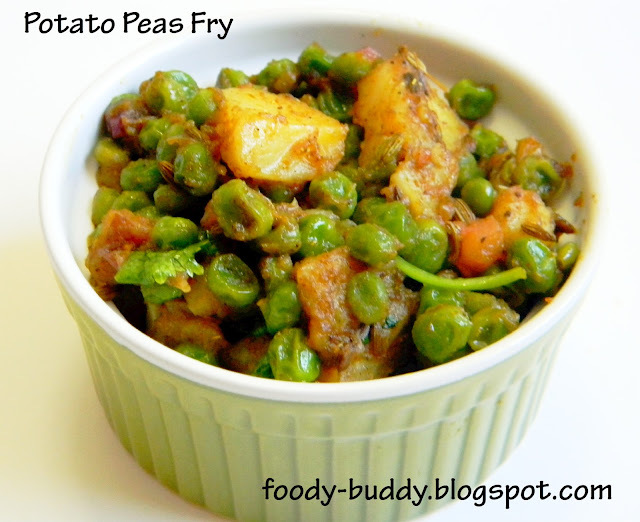 Add boiled potato and peas, some salt and little water. Keep it covered and cook for 4-5 mins. Add Amchur powder and garam masala, Mix well. Fry for a 1 min. Switch off the stove. Serve it with sambar rice, rasam rice or curd rice. If you don't have sambhar powder, replace it with 2 tsp of coriander powder, 1 tsp of red chilly powder and 1/2 tsp of turmeric. If you want to cook fast , precook all Veggie's in Cooker or in Microwave. 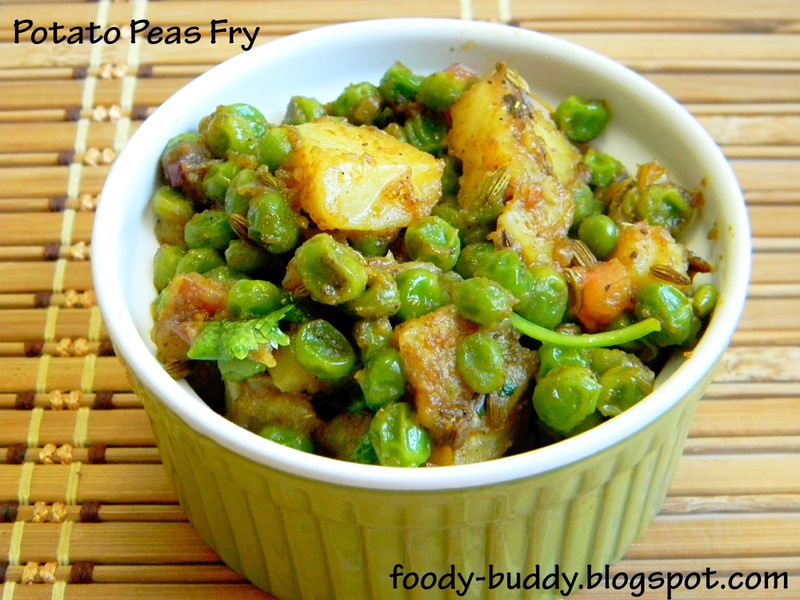 Peas are rich in vit A, K, folic acid and ascorbic acid. Potatoes are rich in vit A,C and fiber and good for brain function.